Thrush is a yeast infection of young children which causes fever and white patches on the inner surface of the lips, gums and throat. It lasts a few days and can be uncomfortable for your child. Encourage fluids to ensure that your child stays well hydrated. Try to avoid carbonated beverages or fruit juices which will worsen discomfort. Milk, ice cream, pop-sickles and Jello are all good choices. Your doctor may need to evaluate and treat this problem. For mouth injuries, see Teeth section. If your child refuses to use his/her arm or leg completely, you should contact your physician. A limping child who has no fever and is not in much pain should be evaluated if the limp has failed to disappear after 24 hours. Of course, any swelling, redness or pain in the joint, associated with fever, is a cause for immediate concern and the physician should be notified. In-toeing and out-toeing when a youngster walks is a common problem and should be discussed at a routine check-up visit. Any animal bite that breaks the skin requires two types of management. The first is local wound care. If the wound is minor, it should be thoroughly cleansed with soap and water, and then Neosporin ointment applied. The wound should be carefully watched for signs of secondary infection (pain, swelling, redness, red streaks, fever, discharge). If these symptoms should occur or if the wound is more extensive, then contact your physician. The second part of management of animal bites involves the prevention of rabies from the bite exposure. If the animal is well known and has been vaccinated against rabies, there is little chance that your child will catch this disease. The offending animal should be kept confined ten days and observed. If the animal is healthy at the end of ten days, the child has no need for rabies prevention. If, however, your child is bitten by a stray or wild animal, an animal which cannot be found or an animal that subsequently dies, it is very important to bring this to your physician’s attention immediately. As with any other wound, it is important that the child be up-to-date with their immunization to tetanus. After an animal bite or other dirty wound, a tetanus immunization is required if the child has not had one in the past five years. If your child is not up-to-date and they suffer a wound, you should contact your physician during regular office hours. Human bites should be treated like domestic animal bites. Most insect bites and stings are not dangerous unless the child is severely allergic to a particular bite or sting. If the stinger is present, remove it with a horizontal scraping motion. Place a cold compress on the bite for several minutes to reduce swelling and redness of the bite or sting. Some redness and swelling are to be expected. You should contact your doctor if this becomes severe. Treat with Benadryl elixir (per package instructions; for dosing for children less than 6 years of age please contact physician for dosing instructions.) and/or a paste of baking soda and water to relieve the symptoms. Apply 0.5% Hydrocortisone ointment or cream to the area to help with further itching. This is available without prescription. Call your physician for any difficulty in breathing. Use Acetaminophen (Tempra, Tylenol) for pain. (see Dosing Guide). Non-poisonous snake bites are the same as bites from a dog or other domestic animal. Reptile bites do not cause rabies. If a child has been bitten by a poisonous snake, they should be taken immediately to the nearest hospital. You should make no effort to treat this yourself. Cutting the wound, oral suction, suction from snake bite kits, compresses, tourniquets, etc., are no longer recommended for poisonous snake bites. Most tick bites are harmless, but ticks are potential carriers for three serious diseases: Rocky Mountain Spotted Fever, Ehrlichia, Tularemia, and Lyme Disease. 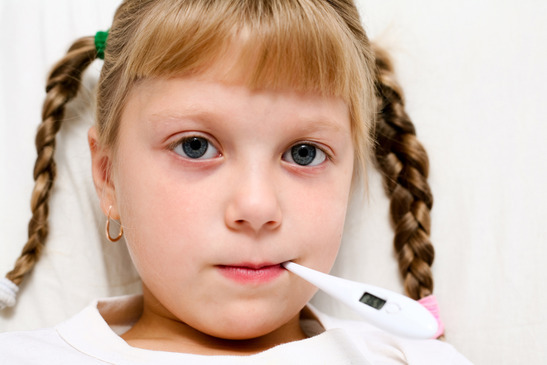 All three infections involve a 5 to 10 day incubation period followed by fever, muscle aches and headache. Tularemia (rabbit fever) causes swollen tender lymph nodes in areas near the tick bite. Rocky Mountain Spotted Fever and Lyme Disease can involve characteristic rashes over the entire body, but these vary greatly. If your child has a history of tick bites with any of these symptoms, it is important that they be seen by their physician. If a tick is found, it can be removed with tweezers, grasping the tick nearest the mouth and pulling it straight out with steady pressure, followed by a soap and water scrub. It is common for a small crusty sore to remain at the site for several days. This is not an indicator of severe disease. The tick-borne diseases are much less likely to occur if a tick is removed within 24 hours of imbedding.